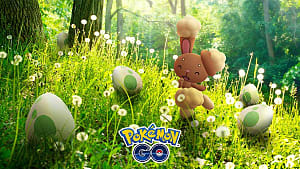 Pokemon GO launched yesterday for half the world, and early this morning for most other regions (except Canada...sorry). 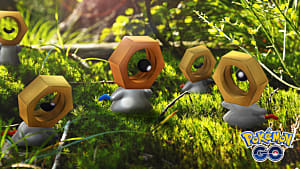 Aspiring Pokemon masters have already been venturing out into the world and finding their very own Pokemon -- often in some really strange places. 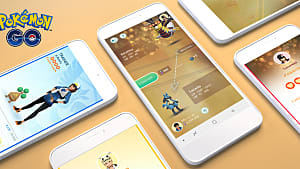 But a lot of eager fans have been running into issues of all kinds -- problems downloading or using the app (especially if they'd used an APK previously), infinite loading screens, server crashes, and more. 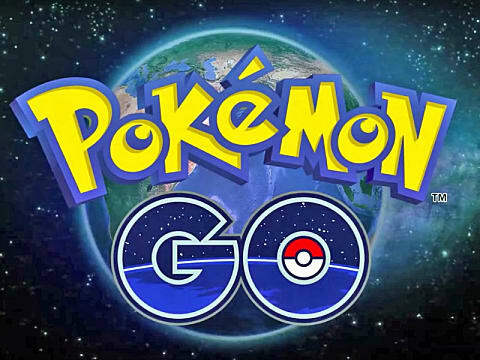 So we tracked down a few fixes to the most common problems in Pokemon GO. 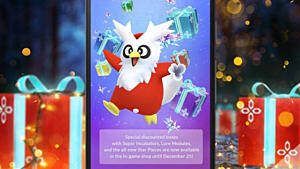 Some fans who just couldn't wait for the game to release in their region opted to download an APK from a third party so they could get a jump start on catching them all. But if you were one of those fans, you may have gotten an unpleasant surprise when you went to download the actual game this morning. For most fans who used an APK, the game is still not available on the Google Play store. Even after deleting the APK, they've been getting messages that it's not yet available in their region -- even though the game has been rolled out in pretty much every country. Fortunately, there's a quick fix for this. 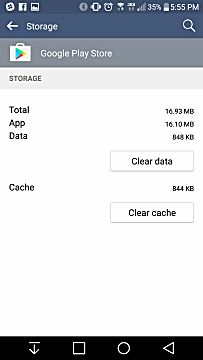 If you used an APK prior to the release of Pokemon GO, you need to clear the cache in your Google Play app before it will let you download it. To do this, open the Settings menu on your Android device, and scroll down to Apps or Application Manager. You should see the Google Play Store listed here. Tap to open it, and you'll see Storage listed near the top. 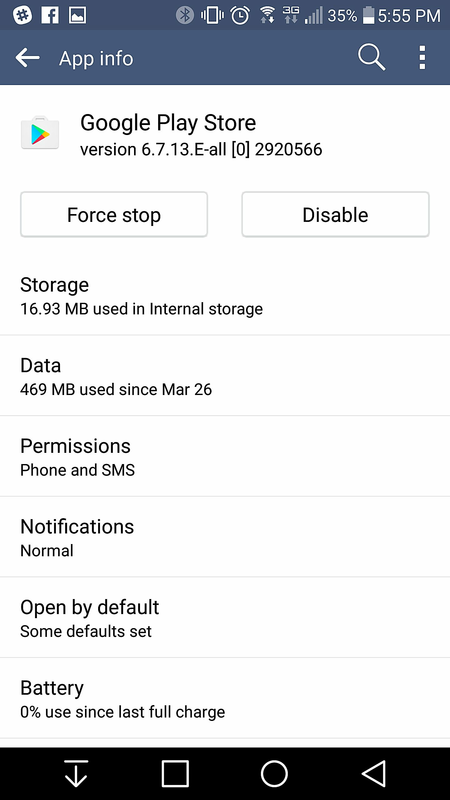 Depending on your device, you'll need to tap or long press the Storage option to bring up a new menu. 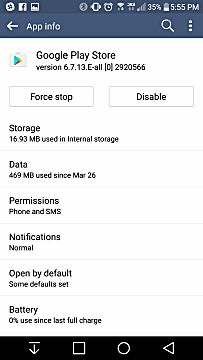 In this menu, you should see the options to Clear Data and Clear Cache. 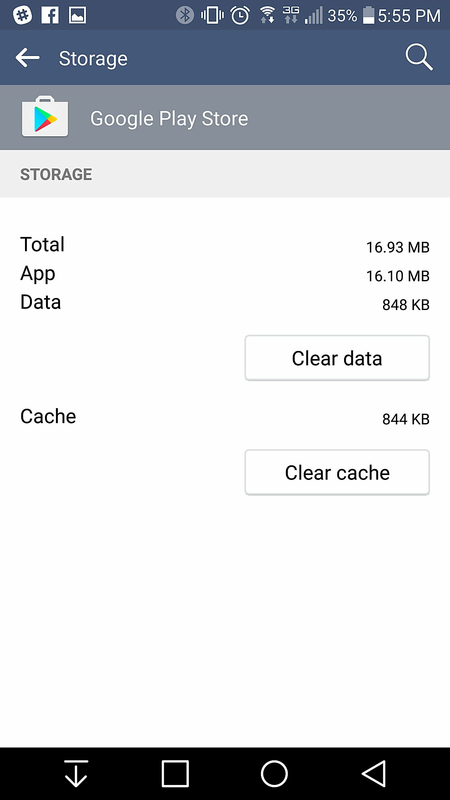 Tap the Clear Cache option and wait for Google to wipe everything away. Once you've done that, revisit the Google Play Store. You should see Pokemon GO available for download! This was the biggest issue I had when first downloading the game. 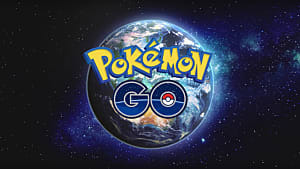 After choosing whether to login with a Google or a Pokemon Trainer Club account, a lot of players get stuck on an infinite loading screen. At this point Pokemon GO is simply not loading. In most cases, there isn't any sort of real fix for this. 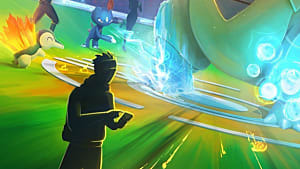 The Pokemon GO servers have been on the fritz due to overload since the game's launch, and this is the most common reason for the infinite loading screen. So for the most part, you'll just want to wait a little while then try again. However, there was one simple fix that worked for me. GO is a pretty demanding game, and on occasion my phone just panics about the amount of work I'm asking it to do. So closing and clearing all apps, then restarting the phone, seems to solve the issue sometimes. This is especially true if you've just downloaded the game and are opening it for the first time. If you try that and it works, great! If not, you're likely dealing with a server issue that can only be resolved with a little patience. Some users with jailbroken iPhones have reported that the game crashes upon use because of its jailbreak detection. Thanks to the wonderful community over on /r/jailbreak, there's a way to bypass that detection. Reddit user ryley_angus posted a link to a patched version of his repo that will circumvent any jailbreak checks for the game. You can download the repo here. This worked for a majority of users, but for some it didn't do the trick initially. In most cases, it was because users had other jailbreak detection bypass tweaks installed. So if that's the case for you, make sure you remove all other jailbreak detection tweaks before installing this one. Other redditors confirmed that after clearing all others, ryley_angus' tweak worked just fine. Unable to login with your Pokemon Trainer Club account? Having to completely relog every single time you open the game? A lot of other trainers-in-training are reporting the same issue. But don't worry -- if you get kicked from your PTC account or have to relog every time, you aren't losing your Pokemon or your progress. 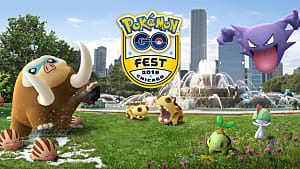 This appears to be an issue with the API being overloaded -- and is likely also connected to the server issues that are spurring the infinite load screen problem. The easiest fix for this is to simply log in using a Google account. That might not be ideal, but for right now it seems like Google users have a serious advantage when it comes to login issues, as those servers appear to be a bit more stable. If it does look like you've lost progress through your Google or PTC account, most users are reporting that it's just a server issue which seems to sort it self out if you wait a little while and try again later. So you've finally gotten into your game and you're ready to catch some Pokemon. In your eagerness, you use some incense to bring all the Pokemon to the yard. Except...they don't come. You wait the whole 30 minutes, but the incense won't attract any Pokemon. This was an issue that also cropped up in the beta, but fortunately there's an easy fix. All you have to do is tinker with the clock on your phone. Turns out that unless you have your device's clock set to network-based so that it matches the time on the servers, your incense will not work. For most Android devices, you'll want to go to Settings > Date & Time. Make sure that both the auto date & time and auto-time zone options are checked. If you're on iPhone, make sure you have the latest version of iOS and go to Settings > General > Date & Time. Make sure that your time zone is set correctly, and that Set Automatically is on. This should solve your incense issue! A few users reported that this still didn't help them out, but apparently it helps to use incense when there's already a Pokemon or two nearby. Using it in remote areas (like I did my first time) doesn't always work as well as you might hope. 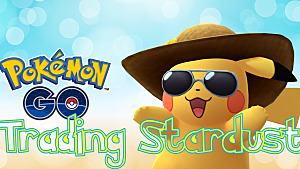 Hopefully this fixes most of the issues you've had with getting started in Pokemon GO. 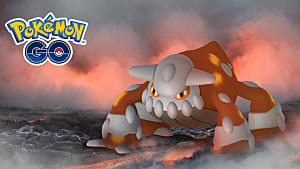 If you, like most of us trainers-to-be, are struggling with server issues, we've uncovered a temporary workaround to the server crashes that might help you weasel your way in when most people are getting locked out. in shop menu, it's just blank white screen. Can you help me? Sounds like a server or service issue to me. I have occasional problems with Pokestops not loading properly, and it's almost always because the servers are starting to bug out, or I just don't have enough signal to really run the game. You can try closing the game, clearing your cache (via the same instructions that I provided for the Google Play Store), and restarting it to see if that helps, though. What if we don't have the option to use google account? Try checking it again. Google was recently working on some client-side fixes because the permissions for the game were out of control. They said they've fixed it since then, so see if you're able to use it now. This is a temporary loading screen fix that works every time. Share it with your readers.